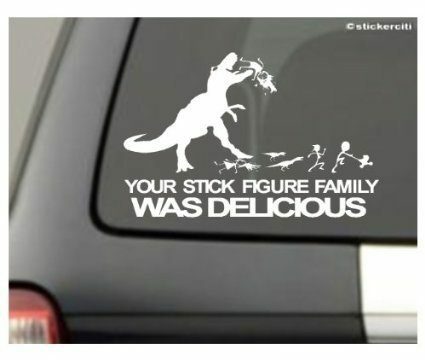 Your Stick Figure Family Was Delicious Car Window Decal Just $1.95 + FREE Shipping! You are here: Home / Great Deals / Amazon Deals / Your Stick Figure Family Was Delicious Car Window Decal Just $1.95 + FREE Shipping! Oh my goodness. This had me laughing out loud today! Head over to Amazon and get the Your Stick Figure Family Was Delicious Car Window Decal for just $1.95 plus FREE shipping!